This project ended successfully on 10/4/2017 10:00! A postcard from Giraud Ensemble with a gratitude for your support! Small surprise from Russia, Japan, Hungary, Greece or Romania sent to your home! You will receive our CD! You will receive a signed CD! 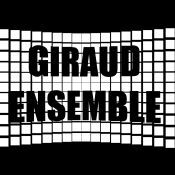 You will receive a T-shirt with the logo of Giraud Ensemble! You will receive a T-shirt with the logo of Giraud Ensemble and small surprise from Russia, Japan, Hungary, Greece or Romania sent to your home! You will receive a T-shirt with the logo of Giraud Ensemble and receive a signed CD! An individual lesson on your instrument with one of our ensemble members or enjoy watching and listening to a rehearsal of the Giraud Ensemble with a tea break in between! A chamber music coaching by one of our ensemble members! Professional photoset including 5 retouched photos with the members of Giraud Ensemble during the rehearsals or recording, made by our photographer and double bass player Timofey! You will receive two signed CDs as well as a piano lesson from Yulia, or conducting lesson from Sergey, or violin lesson from Rustem or an individual lesson on your instrument with one of our ensemble members! You will receive two signed CDs as well as a piano lesson from Yulia, or conducting lesson from Sergey, or violin lesson from Rustem or an individual lesson on your instrument with one of our ensemble members. Afterwards you will be invited for a coffee and a cake with us! We will cook for you a delicious dinner including borsch and crêpes at your place! We will cook for you a delicious dinner including borsch and crêpes at your place and you will receive two T-shirts with the logo of Giraud Ensemble! Duo-Concert: A house concert with Duo-Program (soloists: Rustem Monasypov, Violin, or Guillaume Thoraval, Trumpet and Yulia Miloslavskaya, Piano) at your place! You will receive two signed CDs and Yulia can play a 50-minute piano recital at your home! You will be indicated as a sponsor on our CD! A house concert played by the Giraud Ensemble at your place in Zurich or vicinity thereof! You will be indicated as the general sponsor on our CD!